1. Where can I find introductory projects to remix? 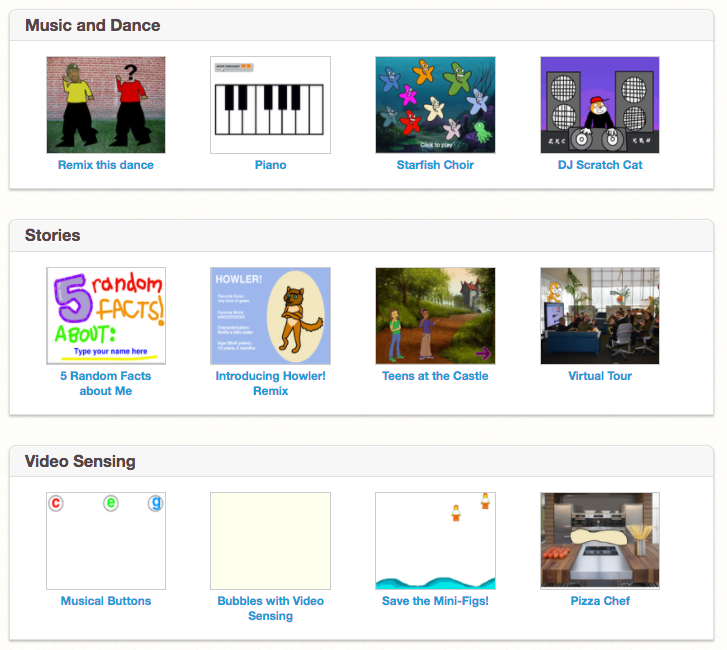 When students are unsure what they can make with Scratch, try sharing these Scratch Starter Projects that they can explore and remix. 2. What does it look like to balance structure and agency with Scratch? On page 195-202 of her dissertation, Karen Brennan shares five research-based strategies, or Intermediate Possibilities, for designing learning experiences that use structure to support agency in computational creation. 3. Where can I find videos that help break down different processes of creating in Scratch? 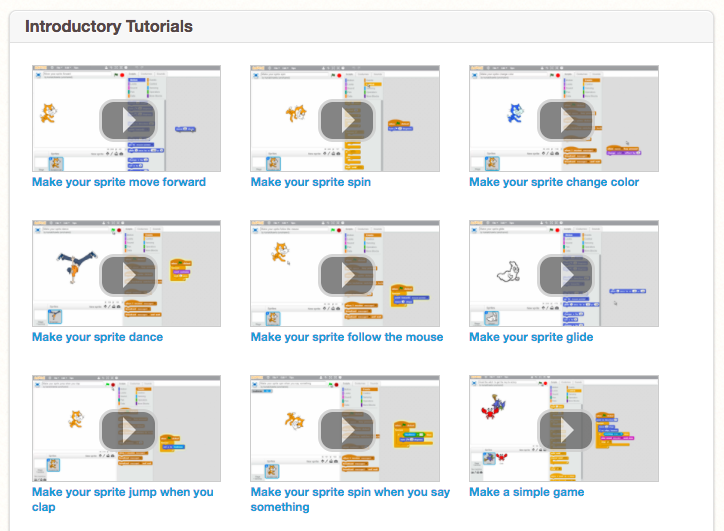 The Scratch Team's Video Tutorials include Introductory Tutorials and Paint Editor Tutorials, and there are thousands more YouTube tutorials created by people of all ages. 4. How can I assess these kinds of creative projects? 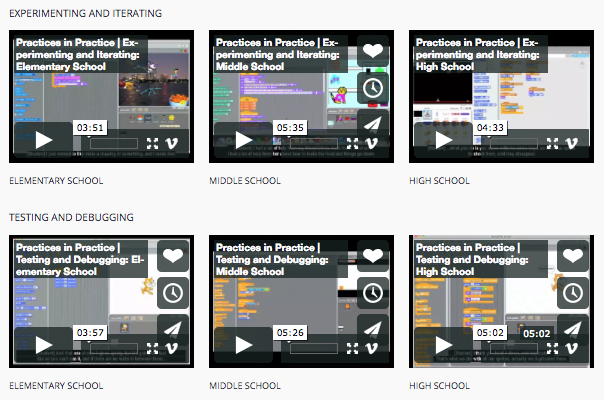 The Assessing the Development of Computational Thinking page highlights 12 videos illustrating the four computational thinking practices: experimenting and iterating, testing and debugging, remixing and reusing, abstracting and modularizing. 5. How can I use Scratch with 5th grade Social Studies? 8th grade Language Arts? 2nd grade Science? 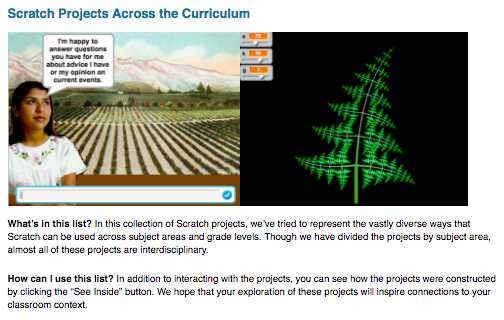 This crowdsourced list, Scratch Projects Across the Curriculum, includes some of the vastly diverse ways that Scratch can be used across subject areas and grade levels. Nicole discusses some of the toughest teacher criticisms and questions related to programming and assessing coding projects. Karen Brennan and Mitch Resnick present their Scratch SWOT analysis at the Barcelona Scratch Conference opening keynote.